As an initiative to prepare indigenous therapy modalities well-suited to the Indian psyche, a unique healing practice is studied. Three specific healers, five people who experienced healing from such healers and seven people who patronise these healings were the subjects in this pilot study. This exploratory-descriptive study employed grounded theory qualitative methodology; in-depth interviews, participant observations and disguise observations were the methods used to collect data. 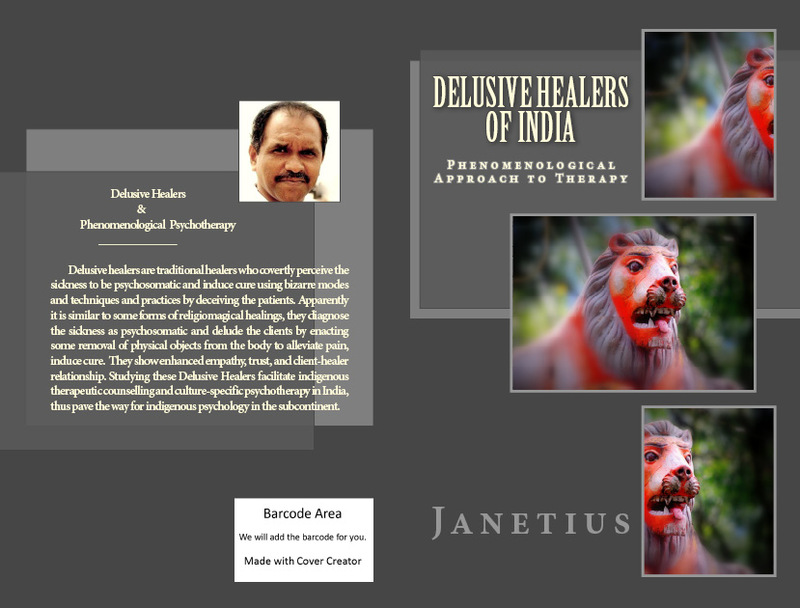 A thorough analysis of their healing modality is explored to draw some postulates to make possible a new form of indigenous therapeutic counselling and culture-specific psychotherapy in particular and, indigenous psychology in general for India. While studying the unique healers, the study identified some exclusive characteristics, obvious commonalities and subtle differences. Prompted by the uniqueness of these healers and their popularity among rural communities in this day of scientific developments, categorized the healers as delusive healers and their therapy as delusive healing. “Delusive healing is a therapy modality of some traditional healers who covertly perceive the sickness to be psychosomatic and induce cure using bizarre techniques and practices by deceiving the patients”. Although apparently it is similar to some form of magical or religiomagical healing, the healers primarily identify the sickness as psychosomatic and then delude the clients by enacting removal of some physical objects from the body to alleviate pain and induce cure. Exploring the delusive healing further, it is acknowledged that the healers show many important characteristics needed for quality counselling in the Western perspective. More than that, some indigenous methods to create trust, empathy and other counselling skills are employed by the healers. Specific implications that are drawn from the study pave the way for indigenous psychology, therapeutic counselling and culture-specific psychotherapy for Indian psyche. Studying this complex traditional, cultural healing phenomenon has initiated some indigenous counselling models which are far beyond client-centred or transpersonal approach; probably fit into the framework of phenomenological approach. The book talks about phenomenological approach towards counselling and psychotherapy together with some unique indigenous counselling model for Indian psyche.